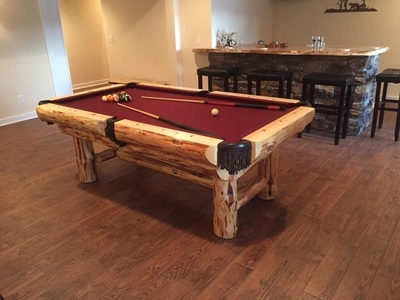 Our logs are thoroughly dried before the building process begins, which is needed to build quality log style furniture and homes. 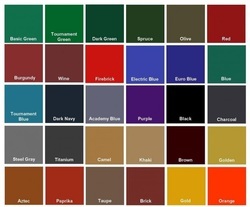 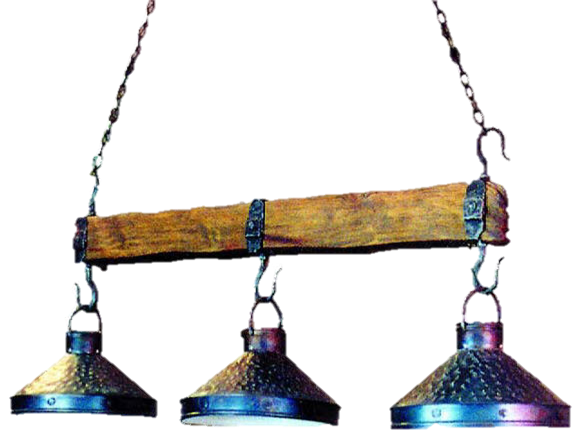 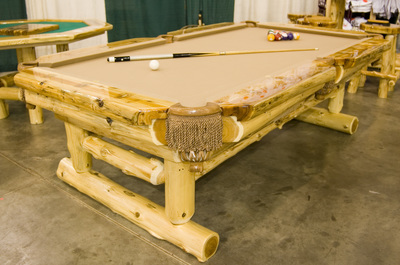 Drying allows the logs to achieve normal cracking, which yields maximum strength and quality for log pool table. 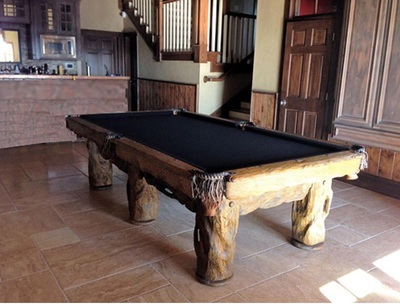 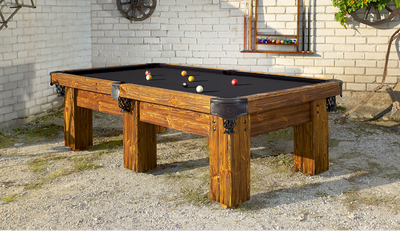 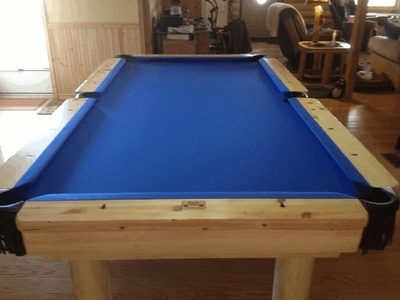 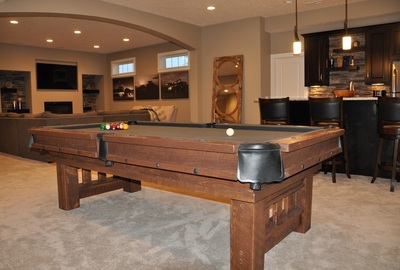 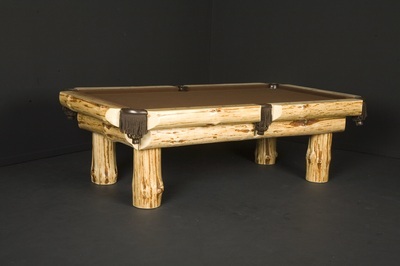 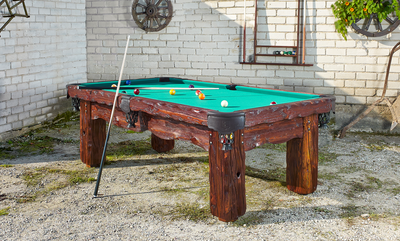 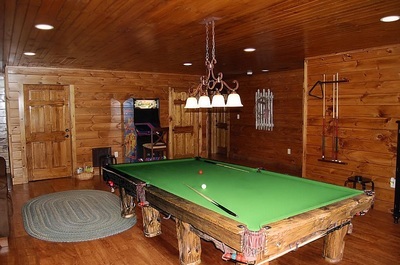 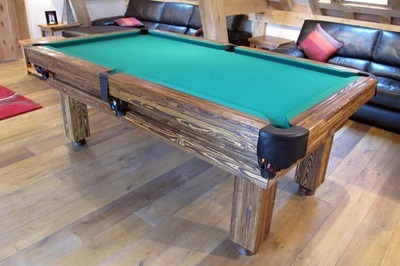 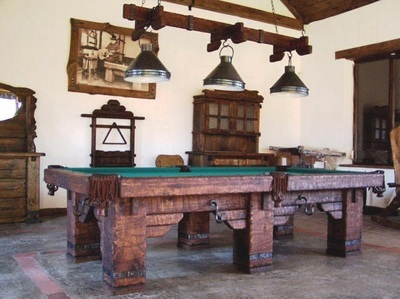 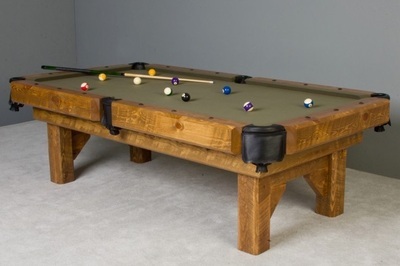 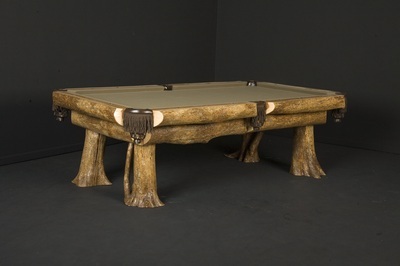 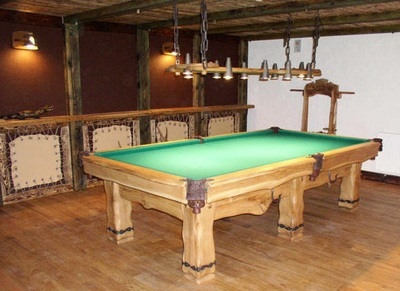 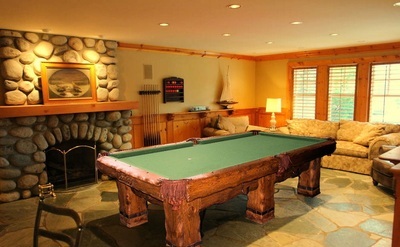 Some additional minor cracking especially in dryer climates again is perfectly normal and actually adds to the beauty of a natural hand-crafted piece of log pool table. 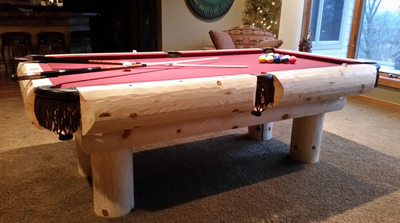 Old World Technology We hand draw knife all edges of our accent logs and tops. 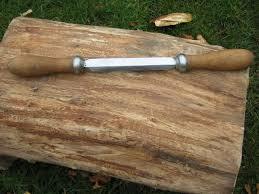 A draw knife is a traditional hand tool composed of a metal blade with a handle on each side. 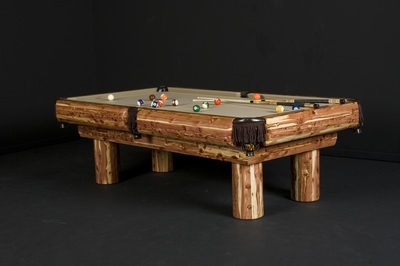 Our woodworkers pull or draw the blade towards themselves to shape or scallop the edges of the pine wood.